I grew up in the former Western Province. I first learned the Idakho dialect in Ikolomani then Tiriki in Kaimosi and Maragoli during my time in high school. Later, in my quest to understand Luhyas, I realised that they might not be a tribe after all. This was after travelling to Kakamega as an adult and listening to West FM broadcast their breakfast show in Kiswahili. At a deeper level, the languages of the eighteen sub tribes have similarities even where its members may not understand each other. Last year, Cotu Secretary General Francis Atwoli came up with a process of identifying a Luhya spokesman. His initiative was informed by the voting patterns of the Luhya, where the vote rich region usually splits their vote rendering their political clout worthless. This process culminated in the election or appointment of Musalia Mudavadi as the Luhya spokesman. Around the same time, Mudavadi was going round fronting his Amani National Congress and a non-existent opposition united vehicle called NASA. Cord has since embraced NASA making it the new outfit to fight it out with Jubilee Party in August general elections. History has showed us that Musalia Mudavadi has failed several times to be his community’s spokesman. 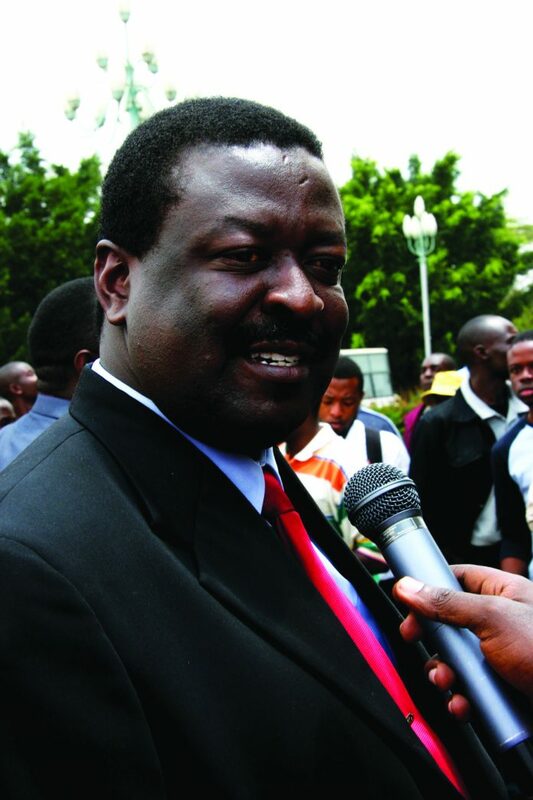 Here is my take why Musalia Mudavadi does not fit the bill of a Luhya kingpin. Mudavadi gets his legitimacy from the elite and not from the masses. This has been his biggest undoing. If he was not son of former minister Moses Mudavadi, I doubt Musalia would be in politics. His connection with the Luhya masses is non-existent. This is what Atwoli tried to activate by creating a process where people are consulted. As a son of privilege, Mudavadi has the money and connections that come with it but lacks the political requirement of connecting with the masses. They say politics is local. Lack of connection to the common man denies Mudavadi the necessary strength to nationalise local Luhya politics. His anti-thesis is none other than “the bull of Ikolomani”, Bonny Khalwale. Everything Mudavadi lacks in charisma and connection to the masses, Khalwale has in plenty. The economic muscle that Mudavadi can marshal is what the son of a chang’aa seller in Ikolomani lacks in abundance. Life is fair in its unfairness because, the two cannot be named as complimentary Luhya spokesmen. This brings me to Mudavadi’s second undoing – personality. Luhya as a tribe did not officially exist until after the Second World War. This means that it does not need a leader who will seek consensus but one who will build consensus; Mudavadi is the former. His laid back demeanour is not tailored for building bridges and bringing everybody on the table. But once everybody is on the table, he can function well. Atwoli has tried to bring people on the table, but not all listened. Other people have been doing the spadework for Mudavadi in politics. Atwoli has just come after Daniel Moi, Raila Odinga and Boni Khalwale. A Luhya spokesman must be someone who can forge his own path and convince the community to follow him. Mudavadi is not the type who can be trusted with uncertainty and still maintain his stamina. Another advantage for Mudavadi is that he comes from the populous Maragoli, which, by extension means that the Tiriki and Banyore who also reside in Vihiga County lean towards him. But this is watered down by the fact that the Bukusu, another populous lot in Bungoma and Trans Nzoia Counties, do not believe a Maragoli can lead them. The Bukusu are a majority in eleven constituencies – eight in Bungoma, three in Trans Nzoia. A good number of the Maragoli are also found in Trans Nzoia, Nandi and Migori Counties. A Luhya spokesman must be someone who can unite the Maragoli and Bukusu. Political clout comes from numbers; it is unlikely that the spokesman will come from another sub-tribe other than the two, although it is possible. If the leader comes from without the Maragoli-Bukusu axis, then he must be a respectable man with astute political skills. That person is definitely somewhere counting his goats. Atwoli did a courageous thing, but he went too far. He should have initiated the conversations and guided them then stop short of naming the spokesman. The process would have been obliged to name a spokesman and someone would have stepped up to the challenge. As it is, Mudavadi is sitting pretty yet he does not control even 50% of Luhya vote. Even in the gutters, the cream will rise to the top; all you need to do is stir it up slowly. 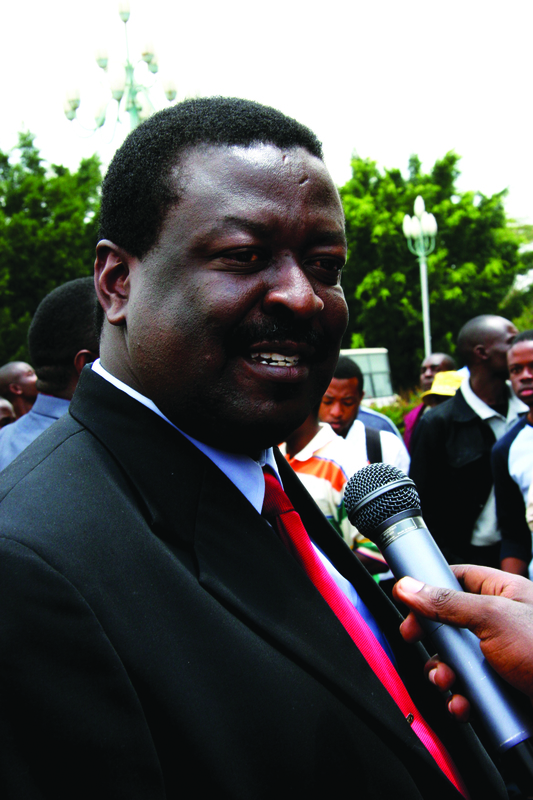 Mudavadi does not cut the image of a Luhya spokesman. He is not the type who can stand in Kangemi or Tononoka grounds and make the country listen. Luhyas need someone who is as much a diplomat as he is a Machiavellian strategist. This paradox in quality is what will put all the Luhya votes in one basket. The true spokesman will not be appointed, but will rise to the challenge and fill the vacuum. He will tell a story that will resonate with the Mulembe nation, then work towards winning over the different Luhya voices and interests. Previous articleIHL and “dumb” weapons: A collection of pious platitudes?